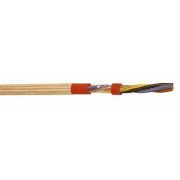 Conductor : tinned flexible copper wires. Insulation : silicone rubber compound, 2GI1, VDE 0207-20. Lay-up : cores laid up in layers of optimum pitch. Outer sheath : silicone rubber compound, 2GM1, VDE 0207-21. 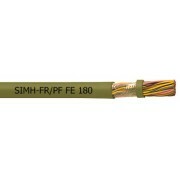 Conductor : flexible copper wires, plain. Insulation : special silicone rubber compound, 300° C.
Outer sheath : special silicone rubber compound, 300° C.
Sheath colour : RAL 3000, red. 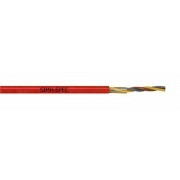 Conductor : single core, tinned or red copper. Outer sheath : fiberglass braiding. Insulation : special silicone rubber compound. Outer sheath : special silicone rubber compound. 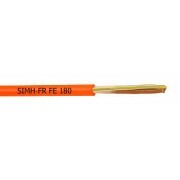 Sheath colour : RAL 2009, orange. Insulation : silicone rubber compound, EI2. Outer sheath : silicone rubber compound, EM9. Braid : glass fibre braid.